A dog nicknamed “Bono” and his Canadian handler are coming away from the Westminster Dog Show with some major hardware after winning his group and finishing runner-up in the event. 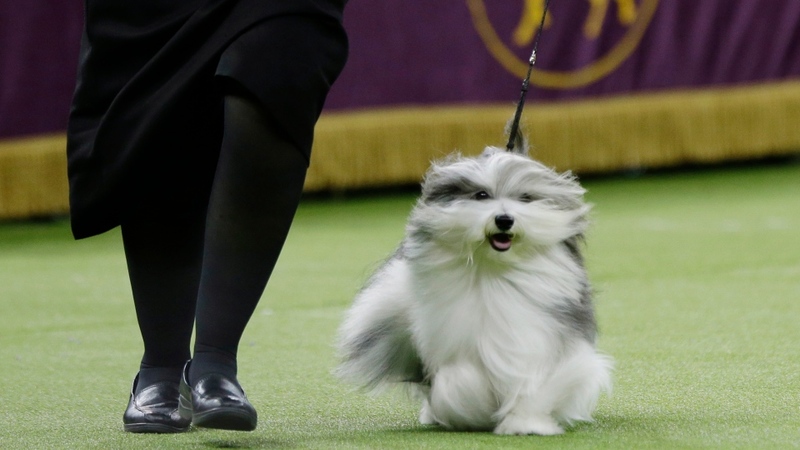 The 2-year-old Havanese dog, whose full name is “GCHG CH Oeste’s In the Name of Love,” won the “toy” category during the prestigious show and also claimed the title of “Reserve Best in Show,” which is considered the second-place prize. A wire fox terrier named King won “Best in Show” on Tuesday after winning the “terrier” group. The Toy category consists of the various smaller breed dogs, including pugs and Yorkshire terriers. The pets are judged based on their companionship abilities. The Havanese dog is a small lap dog with long fur that can be several colours. It’s the national dog of Cuba and should have a “light airy coat and a beautiful beguiling face,” according to McFadden. To maintain his immaculate coat, McFadden says Bono is bathed and brushed twice a week, with extra care during a show. 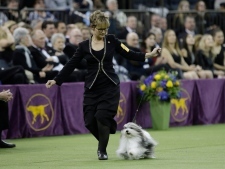 McFadden said Bono has had several big wins in the past, but this week’s prize is “among the top.” As a handler with other dogs, she’s made it to the Westminster finals twice and her husband was the handler of the 2018 Best in Show, a bichon frise named Flynn. Bono has little time to celebrate the victory as he’s scheduled to compete in a dog show in California beginning on Friday.